Hey, Terminal pro. 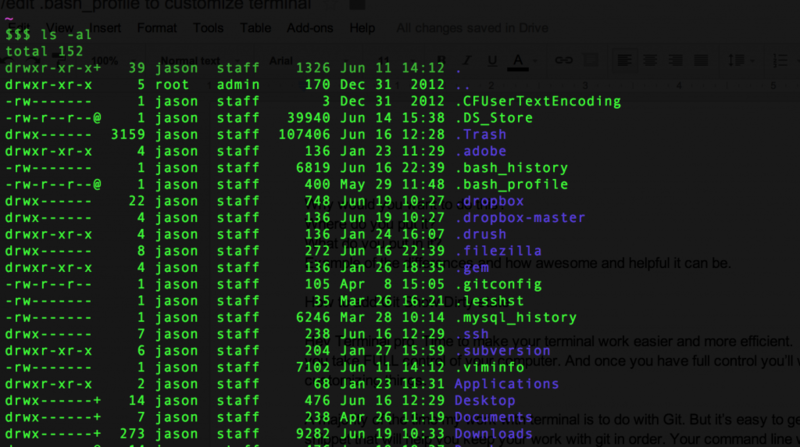 Time to make your terminal work easier and more efficient by customizing your terminal prompt to alert you to your current git state and branch. A majority of the time my work with terminal is to do with Git. But it’s easy to get lost even if you have a really easy git workflow in place. Have you ever made commits to your master branch when you thought you were working in develop? Annoying! 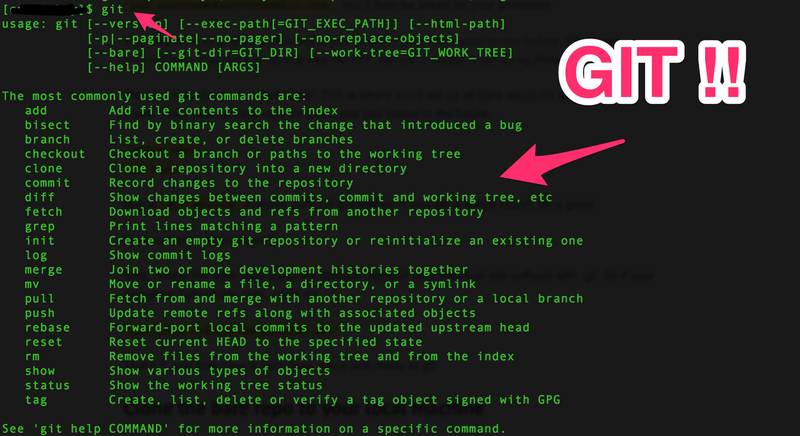 Here’s a tip that will help you keep your work with git in order. 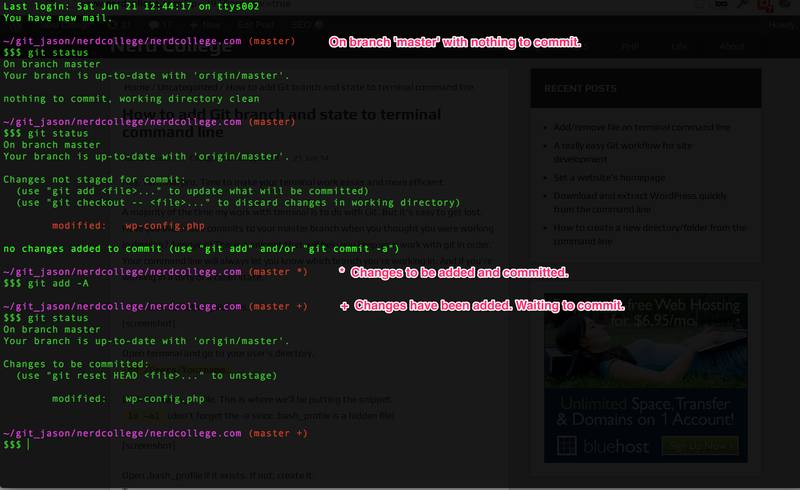 We’ll customize your terminal prompt so that it will always let you know which branch you’re working in. And if you’re working in a dirty or a clean state. It’s pretty awesome and has kept me from commit headaches countless times. What the command line looks like in various git states. Open terminal and go to your user’s directory. Look for .bash_profile. This is where we’ll be putting the snippet. Open .bash_profile if it exists. If not, create it. After that there are endless ways to customize your command line. Here’s what my command line prompt looks like. I’ve added some color and changed how my current location is displayed (code for that below image). You can change colors and lots of other stuff. Mess around if you like. I’ll warn you that things can get messy and confusing fast. The styling commands for colors are not like anything I’ve used in my web dev work. Check out wiki.archlinux.org for some more tips.